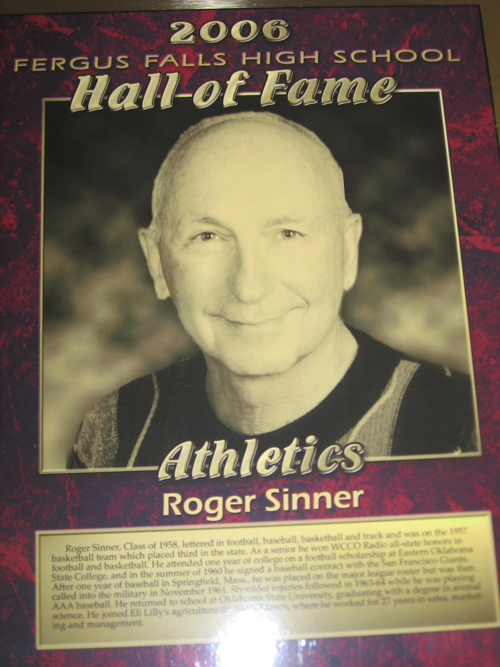 Roger Sinner, Class of 1958, lettered in football, baseball, basketball, and track and was on the 1957 basketball team which placed third in the state. As a senior he won WCCO Radio all-state honors in football and basketball. He attended one year of college on a football scholarship at Eastern Oklahoma State College, and in the summer of 1960 he signed a baseball contract with the San Francisco Giants. After one year of baseball in Springfield, Mass., he was placed on the major league roster but was then called into the military in November 1961. Shoulder injuries followed in 1963-64 while he was playing AAA baseball. He returned to school at Oklahoma State University, graduating with a degree in animal science. He joined Eli Lilly’s agriculture division, where he worked for 27 in sales, marketing, and management. 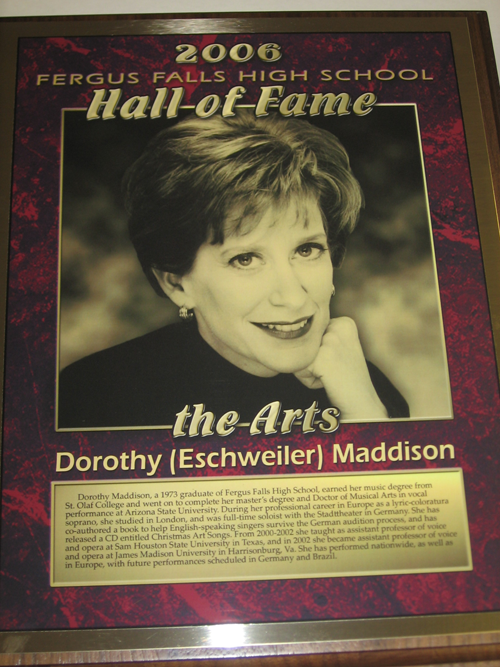 Dorothy Maddison, a 1973 graduate of Fergus Falls High School, earned her music degree from St. Olaf College and went on to complete her master’s degree and Doctor of Musical Arts in vocal performance at Arizona State University. During her professional career in Europe as a lyric-coloratura soprano, she studied in London, and was full-time soloist with the Stad theater in Germany. She has co-authored a book a book to help English speaking singers survive the German audition process and has released a CD entitled Christmas Art Songs. From 2000-2002 she taught as assistant professor of voice and opera at Sam Houston State University in Texas, and in 2002 she became assistant professor of voice and opera at James Madison University in Harrisonburg, Va. She has performed nationwide, as well as in Europe, with future performances scheduled in Germany and Brazil. 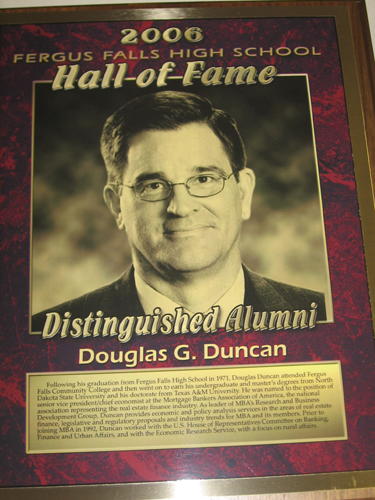 Following his graduation from Fergus Falls High School in 1971, Douglas Duncan attended Fergus Falls Community College and then went on to earn his undergraduate and master’s degrees from North Dakota State University and his doctorate from Texas A&M University. He was named to the position of senior vice president/chief economist at the Mortgage Bankers Association of America, the national association representing the real estate finance industry. As leader of MBA’s Research and Business Development Group, Duncan provides economic and policy analysis services in the areas of real estate finance, legislative and regulatory proposals and industry trends for MBA and its members. Prior to joining MBA in 1992, Duncan worked with the U.S. House of Representatives Committee on Banking, Finance, and Urban Affairs, and with the Economic Research Service, with a focus on rural affairs. 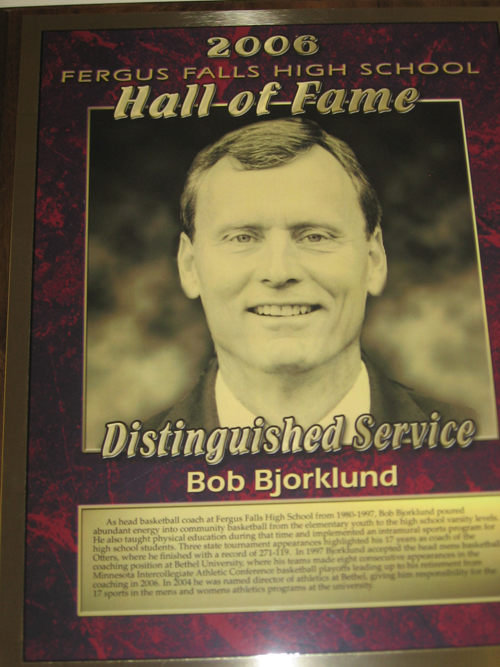 As head basketball coach at Fergus Falls High School from 1980-1997, Bob Bjorklund poured abundant energy into community basketball from the elementary youth to the high school levels. 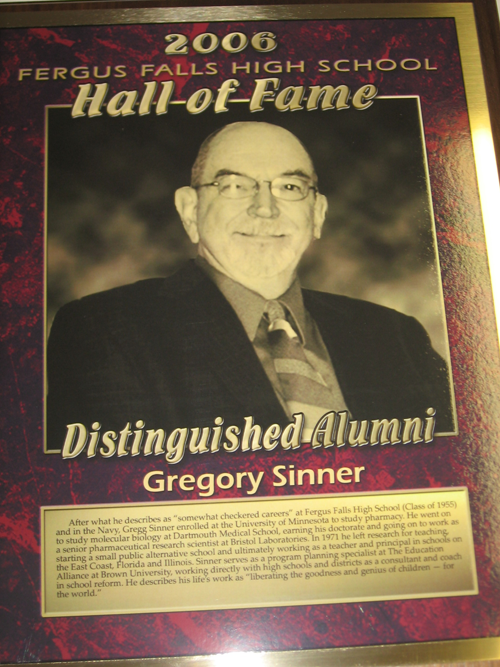 He also taught physical education during that time and implemented an intramural sports program for high school students. Three state tournament appearances highlighted his 17 years as coach of the Otters, where he finished with a record of 271-119. In 1997 Bjorklund accepted the head coaching position at Bethel University, where his teams made eight consecutive appearances in the Minnesota Intercollegiate Athletic Conference basketball playoffs leading up to his retirement from coaching in 2006. In 2004 he was named director of athletics at Bethel, giving him responsibility for 17 sports in the mens and womens athletic programs at the university.